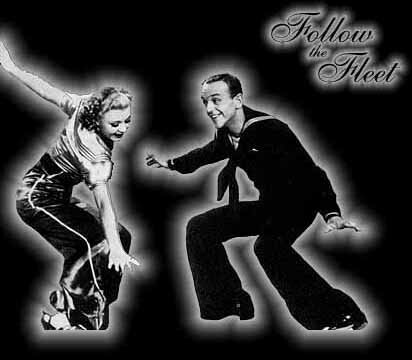 In 1933 the world of dance changed forever. Near the end of the cast billing of a movie called Flying Down To Rio were two names that now seem to be incomplete without the other. 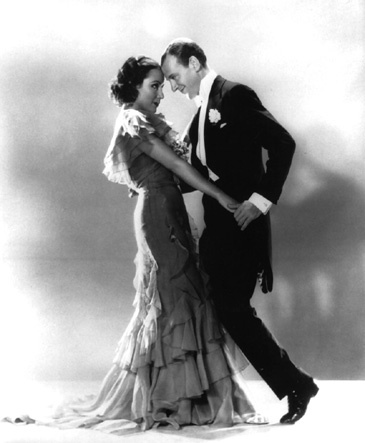 Fred Astaire and Ginger Rogers. This site is dedicated to their 10 films, the timeless songs they first introduced, and the magic and artistry they created together. From the film Roberta, circa 1934. Flying Down To Rio, 1933. 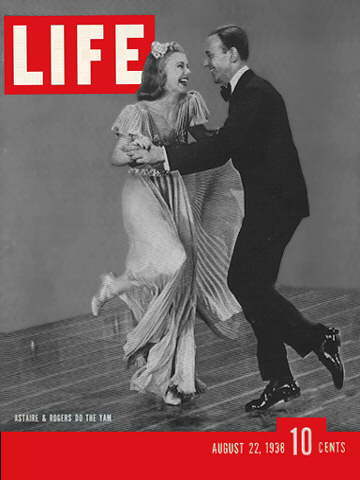 Fred & Ginger: Filled with pictures, info and an extensive history of the lives of our favorite dance team. Past Perfect: An official site for all the music of the 20's, 30's and 40's. A Time Of Innocence:Classic Film Page: A great movie page for classic stars. Elizabeth's Classic Homepage: Full of the best musicals and films from Hollywood's Golden Age. The Movie Musicals Page: Quizzes, info and more on all your favorite musicals. In 1935, the navy was the way to go. This page was updated June 29, 1999. Thank you to Julie and Samantha and Katherine for their wonderful pictures. This site was created for fans, for fun. No infringement on the estate of Mr. Fred Astaire is intended. This is a non-profit site. Thank you!